In 1999 after performing in Cannes, France with an eleven-piece orchestra of high profile guitarists from across Europe Nigel was invited to sign an exclusive recording contract with the Grammy nominated New York label Arkadia Jazz. The Arkadia press release at the time stated, “Clark creates a new hybrid in the jazz melting pot. The result is a true contemporary conception, planted deeply in traditional roots. 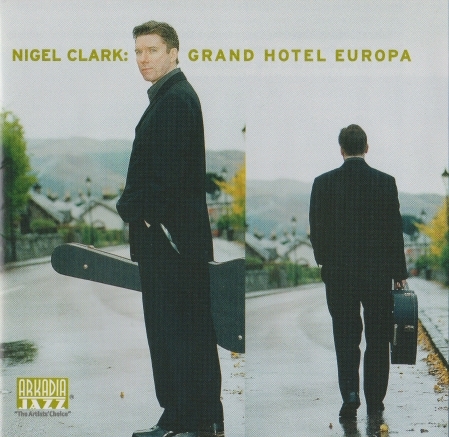 The originals on Grand Hotel Europa show the influence of Nigel’s ‘complete world’ sensibility. 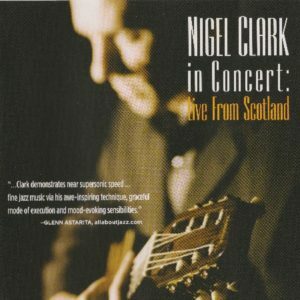 Unlike your typical Jazz recording, the album is a celebration of the different sounds that have informed Nigel Clark’s music throughout the years; from the Far East, to the smoky clubs of New York, and on to the hot summer nights of Brazil”. 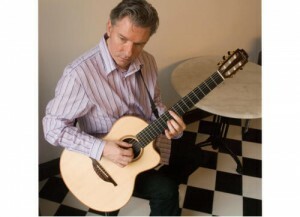 “Grand Hotel Europa” marked Nigel’s switch from electric to exclusively nylon-strung acoustic guitar. 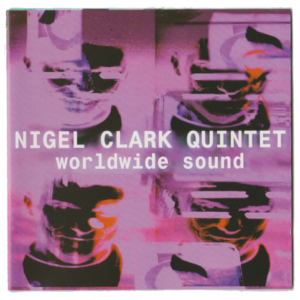 To listen to the title track free click on Nigel’s music – Purchase as individual mp3s, mp3 full album or physical copy (CD). Note: this product is offered as all individual tracks from the album in mp3 format. The album is offered in WINRAR format which needs to be unzipped using either WINRAR, WINZIP or will automatically offer extraction of tracks using any existing software on your computer/device.